The story of a saucy wench, or that’s why the lady’s a tramp. Hilarious, yes. Do I have the stomach to actually read it? 'fraid not. But it's one reason why you have to love used bookstores. The price was half off the cover, by the way. Half of 25 cents. The laugh alone is worth 12.5 cents. Heck, I'd even pay the quarter. How often do you see the word "saucy" on a book cover these days?! Much less the terribly politically incorrect "wench." Kitty, you go, girl! You saucy, saucy thing! So it’s like that one book. What was it? Regency Park? Reese Witherspoon was in it. You’re judging the book by it’s cover. Maybe it’s one of those small publishers you’re so in love with. 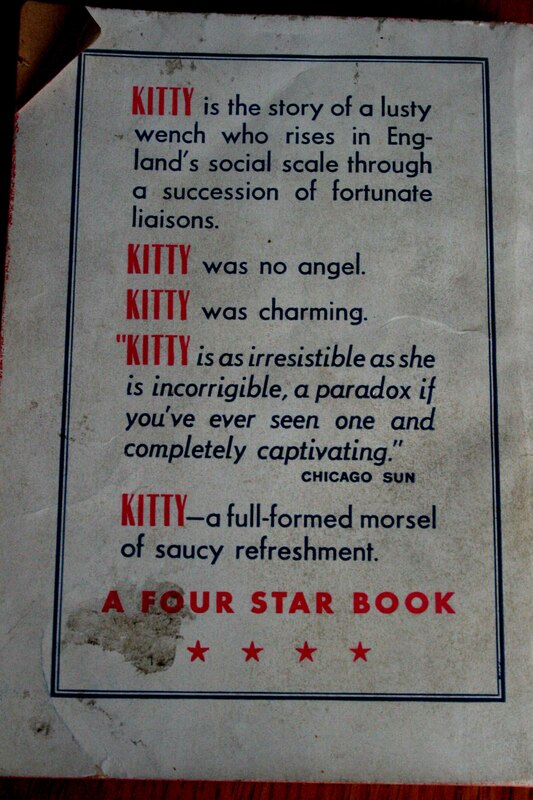 I love that it is a ‘Four Star Book’! Do you mean ‘Vanity Fair’? From the novel by W.M. Thackeray? 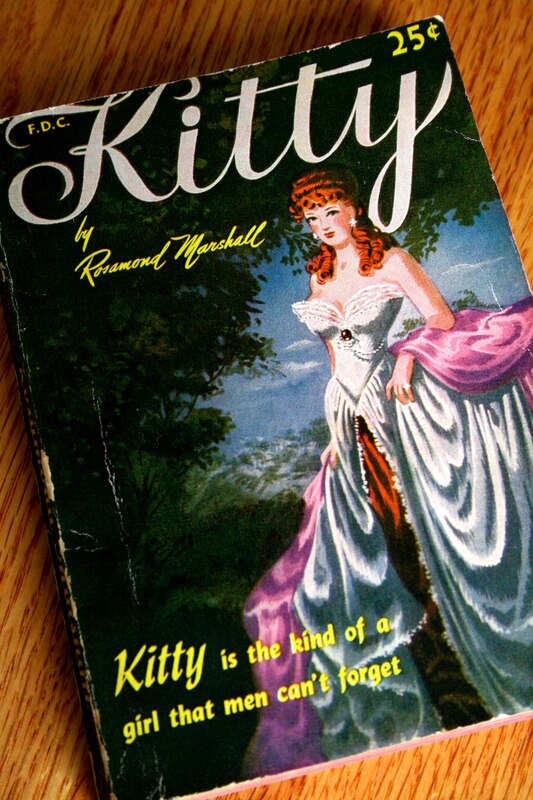 Kitty could be a sort of Becky Sharp, from a century earlier. More like a slightly more refined Moll Flanders, from the look of it. And of COURSE I’m judging it by its cover, silly man. Put the words “wench” and “saucy” on a book’s cover and I will absolutely judge it. Harrumph. Definitely a modern take on the 18th century novel in which the poor girl is taken into “polite” society (which proves to be anything but), and after being chased by several men – all intent on nailing her – all’s well that ends well. Kind of. And lusty with it! What more could a bloke want??? I bet she’s fun at parties! She was the daughter of Charles and Florence, both writers. her father, a newspaperman before taking up a business career while her mother, the author of several volumes of folk songs, and of a volume called Folk Tales.